Nextbit launched its Kickstarter last year with just a GSM version of the Robin, but the people demanded a CDMA one too. The company attempted to accommodate them, but now CEO Tom Moss has announced that the CDMA Robin will never exist. According to the notice posted by Moss, the Nextbit team started looking into what it would take to get a CDMA phone certified on Sprint and Verizon during the campaign. They didn't have much time to get things figured out, but based on what the carriers said, they felt it was feasible. The CDMA version was delayed earlier this year, and Moss now says the timeline for dealing with the carriers and the cost have ballooned since then. Certification and planning that was supposed to take a few weeks is now looking like months, and the cost will be in the millions. 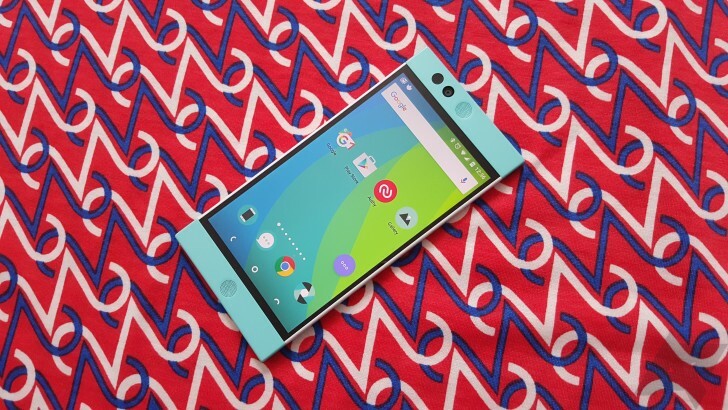 Rather than delay the phone into irrelevance, Nextbit is just dropping the CDMA version. Anyone who has been waiting on this device will get a full refund in the next day or two. Additionally, these backers will get a 25% discount code for a GMS Robin ($100 off), if they want to go that route. You can see the full statement below. We started Nextbit to make products that we want to use ourselves, and to build the kind of company that we would want to support and be proud to have represent us. We designed Robin to be a phone that would reignite the excitement we all used to feel back when smartphones were new and innovation was a constant. We hoped that by doing so, we could also attract like-minded people and turn them into a family of supporters around the world. The hardest thing for us to do, therefore, is anything that we know will disappoint these supporters. That makes today a really bad day for us. While we hope that some of you may have backed us in order to simply enable us to exist as a start-up and poke the boundaries of today’s smartphone ecosystem, I’m sure most of you backed us in order to get a Robin. If you happen to be one of the folks who asked us for a CDMA version, then today I am going to disappoint you, and for that I am truly sorry. As you might already know, we had several short delays with fulfilling all of our GSM version orders, but have finally gotten it to the point where all GSM phones have shipped to customers. The CDMA version has a different set of problems, and unfortunately, there doesn’t appear to be a workable solution. The bad news: we are unable to ship a CDMA version. I would like to explain why this happened. If you would rather just find out information about what happens now (refunds, discounts, etc. ), please skip ahead to the end of the letter below. Originally, we weren’t planning on launching a CDMA version, but we had many folks reach out to us during the Kickstarter campaign asking for it, so we decided to take a look. Nextbit is comprised of people who have been in the mobile business for a while (since the birth of the modern smartphone era). Many of us have worked on devices that have shipped on U.S. CDMA carriers previously, and had a rough understanding of the issues involved. As soon as we saw the many requests from our backers for supporting this, we called and emailed folks we know at the various U.S. CDMA carriers and asked about the process to ship an open-market phone that would work on these networks. As you can imagine, we were in a rush. The Kickstarter campaign is only 30 days long, and it wasn’t until the second week of the campaign that we realized the demand and started the investigation. Because of this, we had to go with the best information we could get before the campaign was over, and over time it turned out that this information was not accurate. What people at the carriers, in good faith given our need for quick answers, thought would take “weeks” has turned into “months”. What they thought would cost “hundreds of thousands of dollars” has turned into “millions”. And we’re still not there. The goal posts are still being moved, and at this point, we think it is better to cancel this version rather than continue to try and make progress with no clear answers to offer regarding when we would actually be able to ship. We first realized there was a big delta between what we originally thought and reality in January. It should have been sooner but to be honest a big part of the problem is how long it takes just to get the right information (and in some cases, what we were doing was a “one-off” for the carriers and they didn’t even decide themselves yet how it would be treated until as late as a week ago). Even then, we believed we could recover and launch in March. Then new information came up and it became April. We really thought that would be it, but yet again, we were wrong. We should have known better. We were not sufficiently doubtful of what we were told given everything we already knew from our experience at previous companies. We were too optimistic, too bullish, and as a result we have to deal with our biggest fear, disappointing you, our supporters. This is bad for you, and this is bad for us. The best we can do is send you this explanation with our sincerest apologies, and try to make sure you don’t suffer any financial loss in addition to the disappointment of not receiving a CDMA Robin. Refund/Cancellation. We are giving every CDMA backer a full and complete refund within the next 48 hours. For Kickstarter backers, this includes your entire pledge as well as any extra you were charged for accessories, shipping, etc. For pre-orders, we have not charged you and will not do so. A 25% discount code for each CDMA backer. Each of you will receive a code for a 25% discount on one order from our online store. If you cannot use this yourself, feel free to pass it on to a friend or family member who is on a GSM network and might like a Robin. From all of us at Nextbit, I would like to offer our apologies for this cancellation, and to also thank you for all of your support thus far.